From Goodreads: Addie hardly recognizes her life since her parents divorced. Her boyfriend used her. Her best friend betrayed her. She can’t believe this is the future she chose. On top of that, her ability is acting up. She’s always been able to Search the future when presented with a choice. Now she can manipulate and slow down time, too ... but not without a price. When Addie’s dad invites her to spend her winter break with him, she jumps at the chance to escape into the Norm world of Dallas, Texas. There she meets the handsome and achingly familiar Trevor. He’s a virtual stranger to her, so why does her heart do a funny flip every time she sees him? But after witnessing secrets that were supposed to stay hidden, Trevor quickly seems more suspicious of Addie than interested in her. And she has an inexplicable desire to change that. Meanwhile, her best friend, Laila, has a secret of her own: she can restore Addie’s memories ... once she learns how. But there are powerful people who don’t want to see this happen. Desperate, Laila tries to manipulate Connor, a brooding bad boy from school - but he seems to be the only boy in the Compound immune to her charms. And the only one who can help her. As Addie and Laila frantically attempt to retrieve the lost memories, Addie must piece together a world she thought she knew before she loses the love she nearly forgot ... and a future that could change everything. 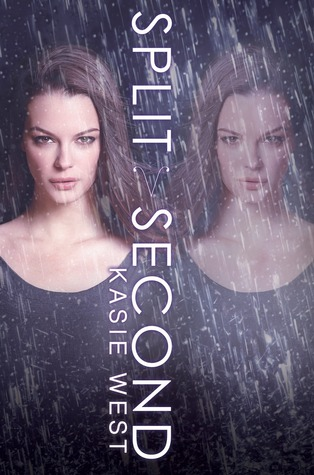 Thoughts on the Novel: With the way Kasie West’s Pivot Point ended, the sequel, Split Second, made for an interesting read because unlike the reader, Addie doesn’t have any significant memories of Trevor. The way the story was written though was never confusing, and for that West needs to be commended. Although I didn’t love the plot of Split Second as much as Pivot Point because it involved the Containment Committee and the Compound yet never gave us much information about them, I loved returning to Addie’s story due to her endearing personality. Of course it was also great to see her meet Trevor and fall in love with him all over again. Besides the perspective of Addie, Split Second was narrated by Laila. While I didn’t really like Laila in Pivot Point, she grew on me over the course of this novel because she was much better developed and easier to sympathize with. I especially enjoyed her interactions with Connor, who I think complemented her well. Split Second was released in February 2014 by HarperTeen. Comments About the Cover: I’m not really a fan of it. I still need to pick this one up, but I absolutely adore Trevor. SO sweet and cute! Glad you enjoyed this one overall. Well, it's too bad this one didn't love up to his predecessor, but it still sounds good overall and I'm still thinking this is one series I need to read sometime. I like that the characters are endearing! I don't know how I feel about dual perspective at this point, but I liked Addie well enough, and this, at least, isn't so focused on the love triangle. That's certainly a plus since it annoyed me in Pivot Point.